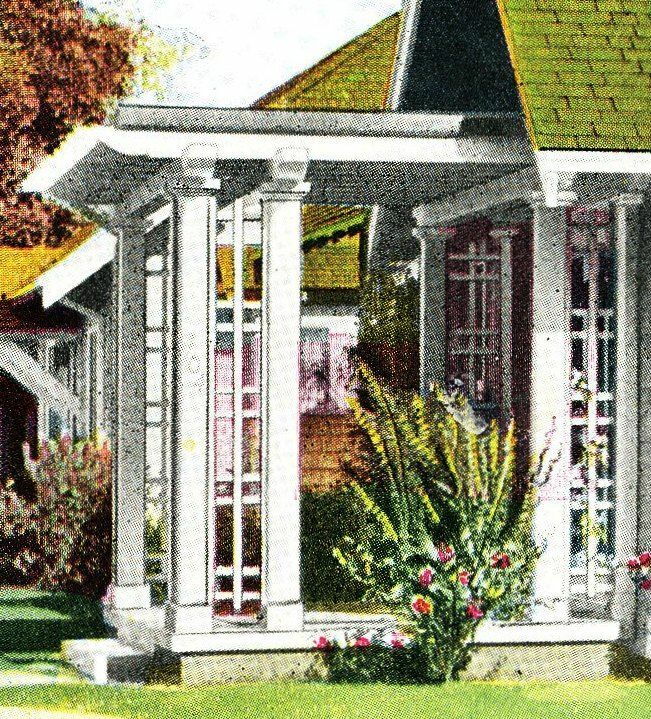 How many Sears Homes does Norfolk have? A whole bunch. 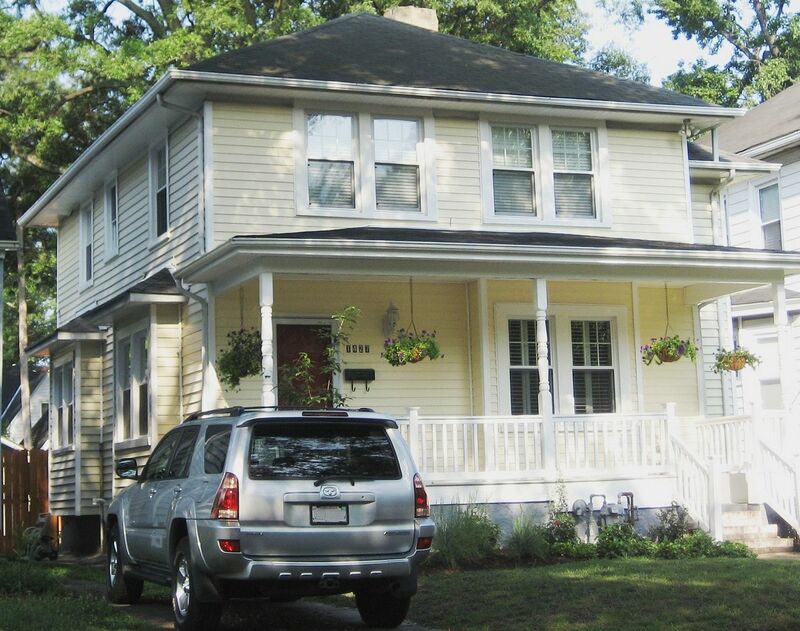 In fact, Norfolk has more than 80 kit homes from a variety of kit-home companies, including Aladdin, Sears, Lewis Manufacturing, Harris Brothers and Gordon Van Tine. In 2004, a local college went scouting for kit homes in Norfolk. I read their finished report and was not surprised that they missed most of these 80+ kit homes. This is a work that I have dedicated my life to, and it’s not a project one can endeavor to undertake on a spare weekend. When I first started hunting for kit homes in Norfolk, I was expecting to find a couple dozen - at the most. I was surprised (and delighted) to find so many of them, and in diverse group of neighborhoods, such as West Ghent, Ingleside, Larchmont, Ocean View, Park Place, Colonial Place, Riverview, Lafayette Winona and more. Born and raised in Portsmouth, I’ll always be a “Portsmouth Girl.” In 1995, our little family left Hampton Roads and moved to the St. Louis area, where we lived for 11 years. In 2006, I moved back to the area, met and married a nice guy who worked for the city of Norfolk, and that’s when Norfolk became my new home. I’m still learning how to navigate the labyrinthine streets, and still making new discoveries. Who knew Norfolk could be so much fun? Click here to read one of my favorite blogs! 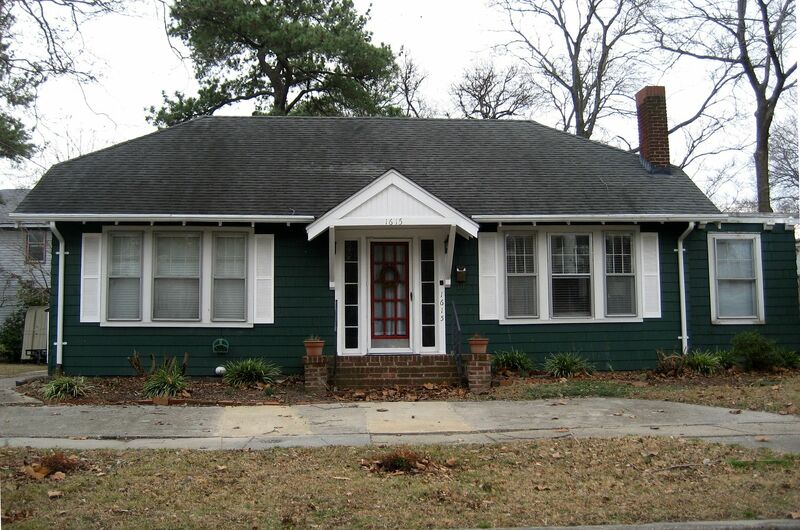 To read about the Sears Homes I found in Newport News, click here. 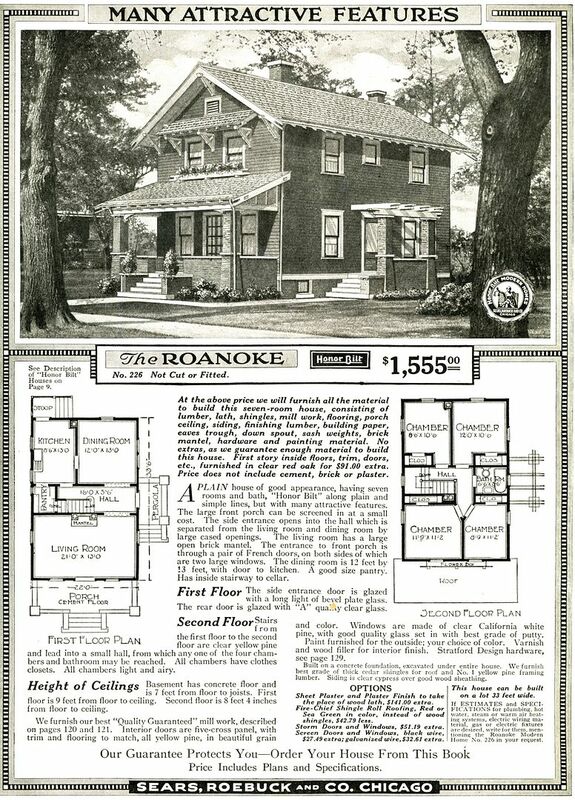 The Sears Roanoke, as shown in the 1920 Sears Modern Homes catalog. Of all the houses I've found in Norfolk, this is far and away my #1 favorite. This is a perfect Sears Roanoke in Norfolk (off Colley Avenue). 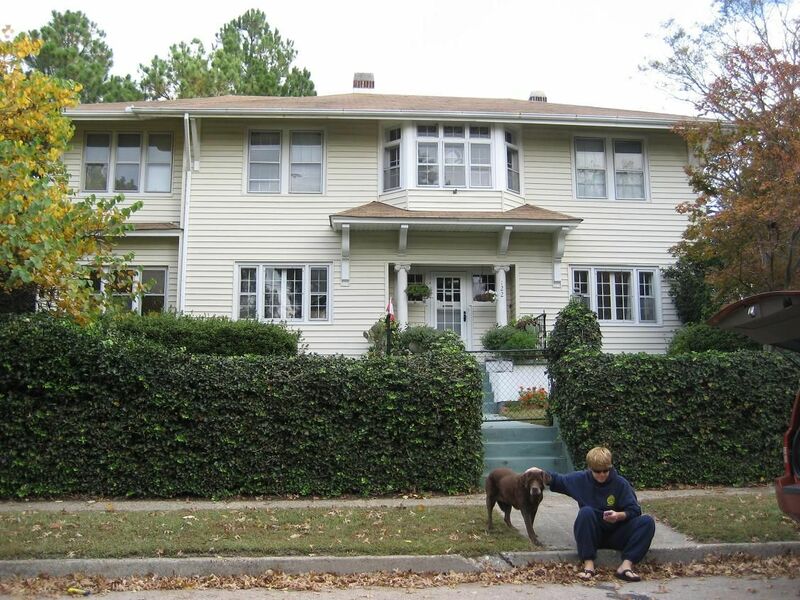 The owner (Robert) loves his beautiful Roanoke, and I've never come across *anyone* who loves (and appreciates) the historical significance of his Sears House, more than this fellow. 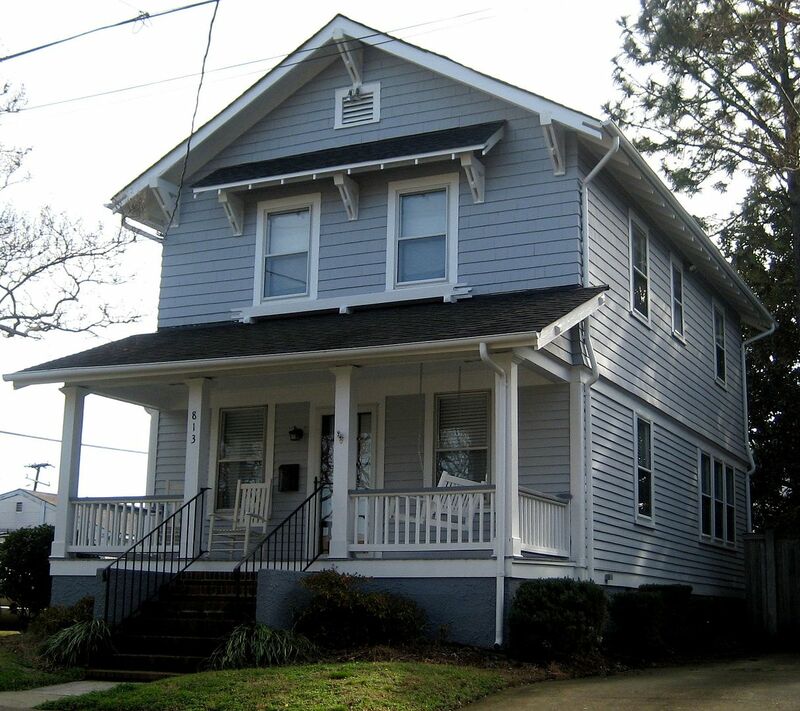 The house is a gem, and thanks to Robert, this 90-year-old home has been faithfully and meticulously restored. 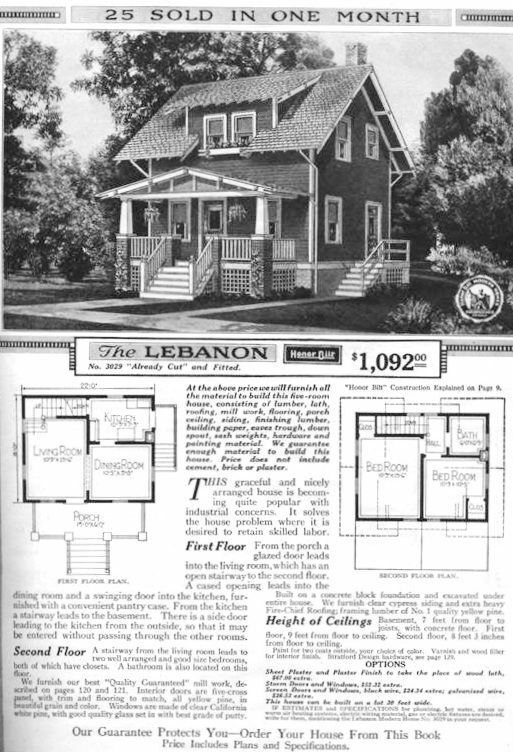 The Sears Lebanon, as seen in the 1919 catalog. Another treasure of a house, and also in good condition. It's on 28th Street, just off Colley Avenue. See the small pieces of wood that jut out under that dormer window? Those are the old supports that held up the flower boxes (seen in original catalog image). 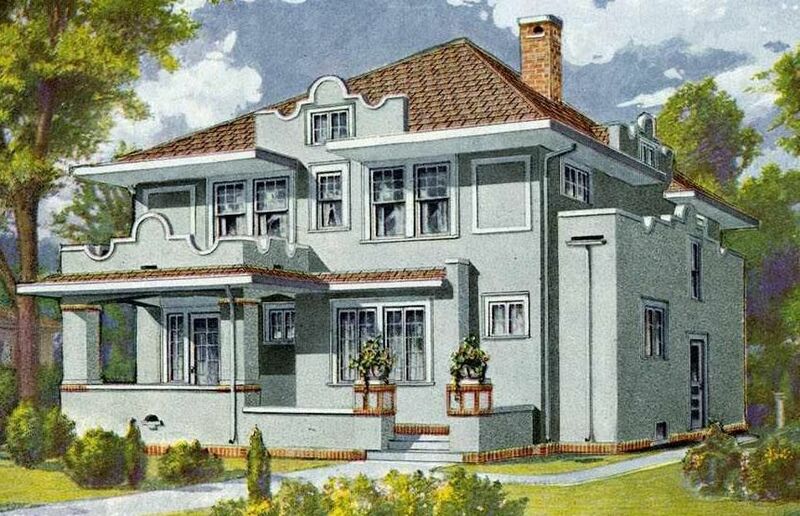 The Whitehall is easy to identify with that two-story bay window (1926). Next door to the Sears Lebanon is this Whitehall (28th Street). 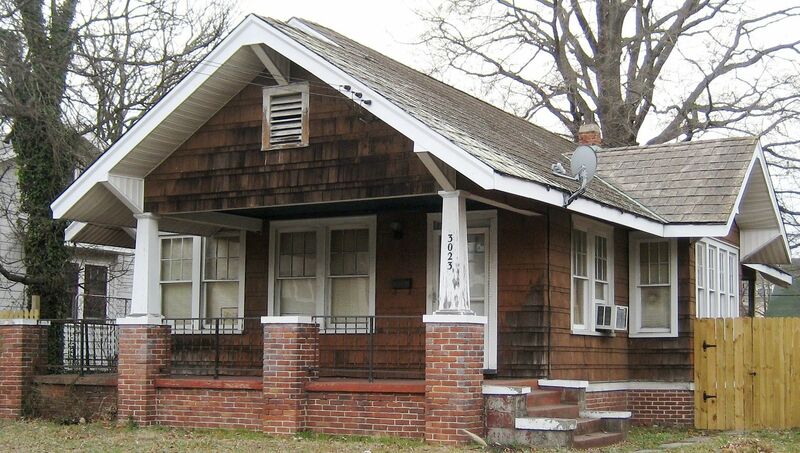 This sweet little Sears Argyle is hidden away in the 900-block of 28th Street. Here's another Argyle in Ocean View. 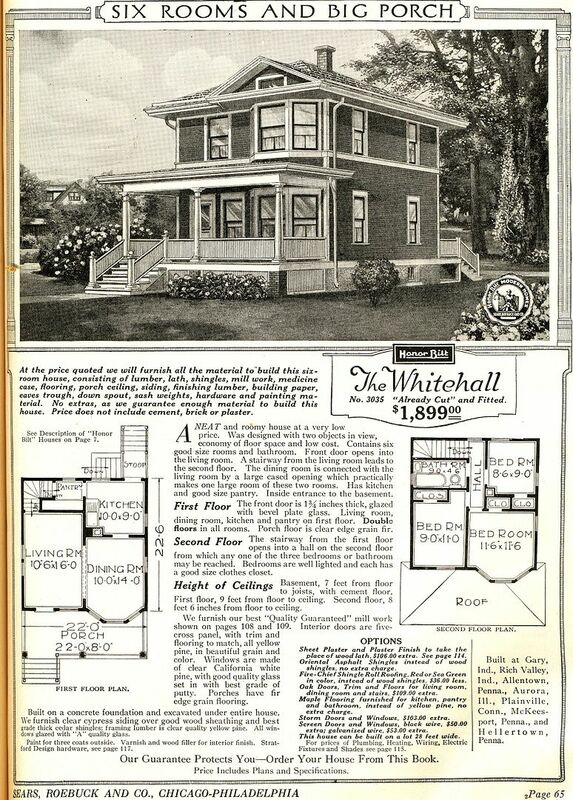 The Alhambra was another popular Sears kit home. Here's a modified Alhambra on Westover Avenue in West Ghent. It's one of three exact models, all in a row. A distinctive feature of the Alhambra is the three squared-bay windows. The Alhambra floorplan shows those three squared bays. 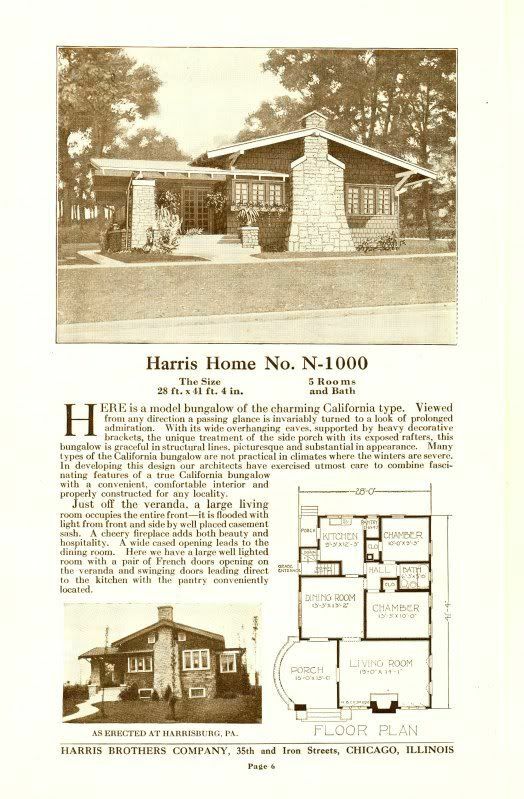 One of my favorites is the Harris Brothers "La Grange" (1923 catalog). There are two of these in Ocean View. Here's one on Capitol Avenue. 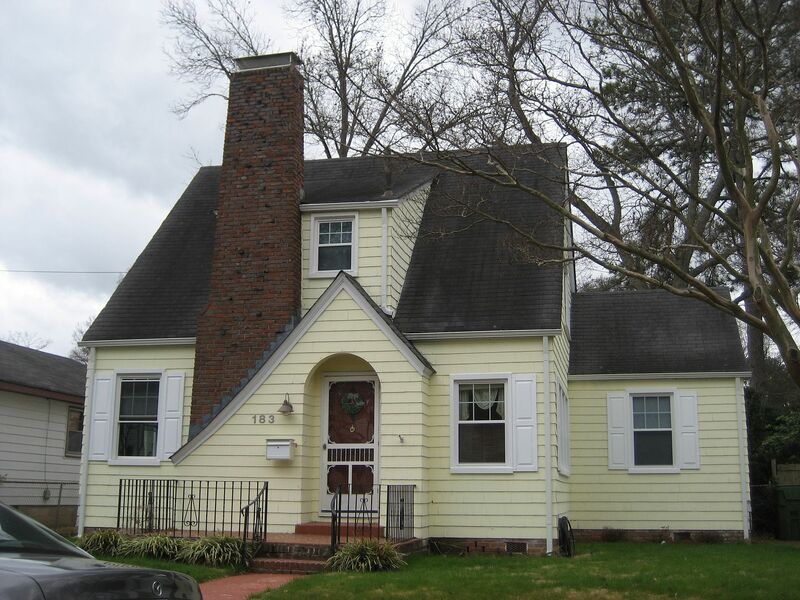 Notice the curved front porch, and casement windows flanking the fireplace. Not surprisingly, there are many Aladdin kit homes in Norfolk. Aladdin was a bigger company than Sears, and remained in business un 1981. Aladdin had a huge mill at Wilmington, NC. There are two of these Aladdin Edisons right next door to ODU in the 800-block of 46th Street. Aladdin Virginia from the 1919 Aladdin catalog. This Aladdin "Virginia" is on Virginia Avenue in the state of Virginia (in Colonial Place). It's in wonderful condition and it's a spot-on match to the original catalog image. There are three Aladdin Pasadenas in Norfolk. 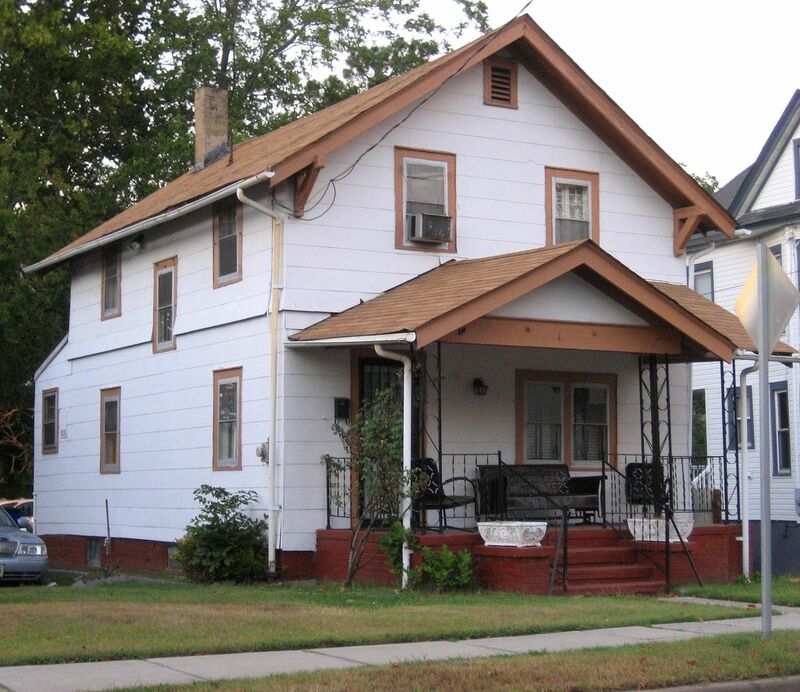 This Aladdin Pasadena is in the 1600-block of LaSalle Avenue in Lafayette-Winona. It's turned sideways on the lot, which made the initial identification a little challenging, but there's no doubt that this is a Pasadena. 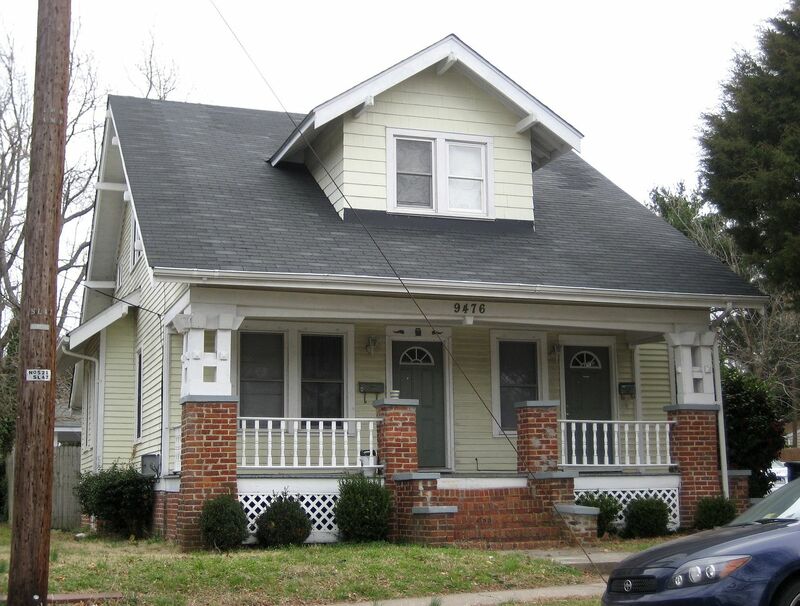 Look at the architectural details around the front porch. This house is on 49th Street in Norfolk. Close-up of the porch on this sideways Pasadena. The Aladdin Winthrop is easy to identify with those four bricks columns on the porch, only two of which have wooden columns extending to the porch roof. Another interesting feature is the window in the side of the dining room bay. This Aladdin Winthrop is even the same colors as its original catalog image. 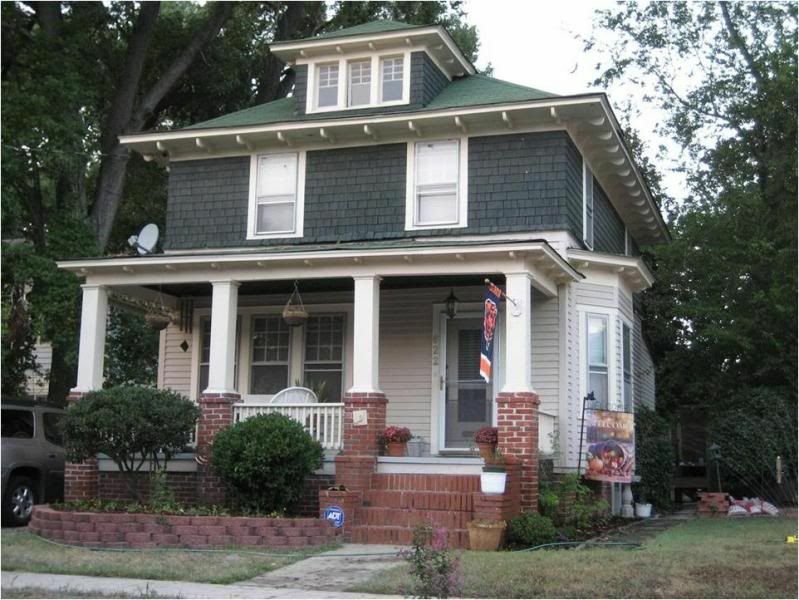 It's in Lafayette Winona, and it's in beautifully original condition! 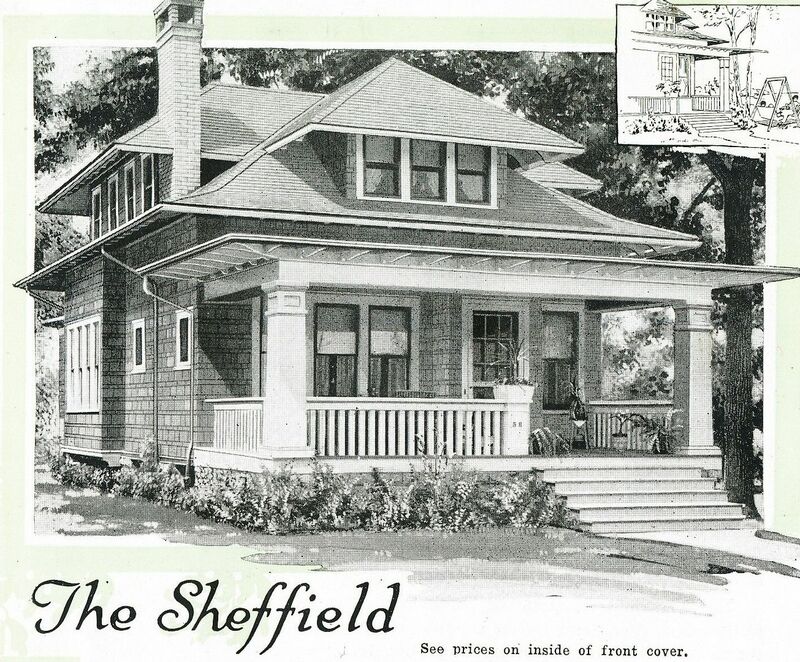 The "Sheffield" as seen in the 1919 catalog. 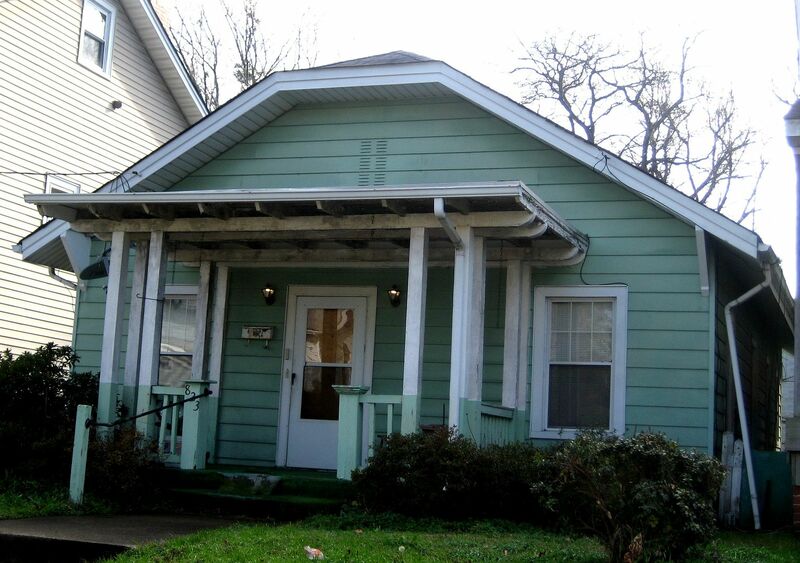 This one is in Lafayette-Winona, and it's a perfect match! 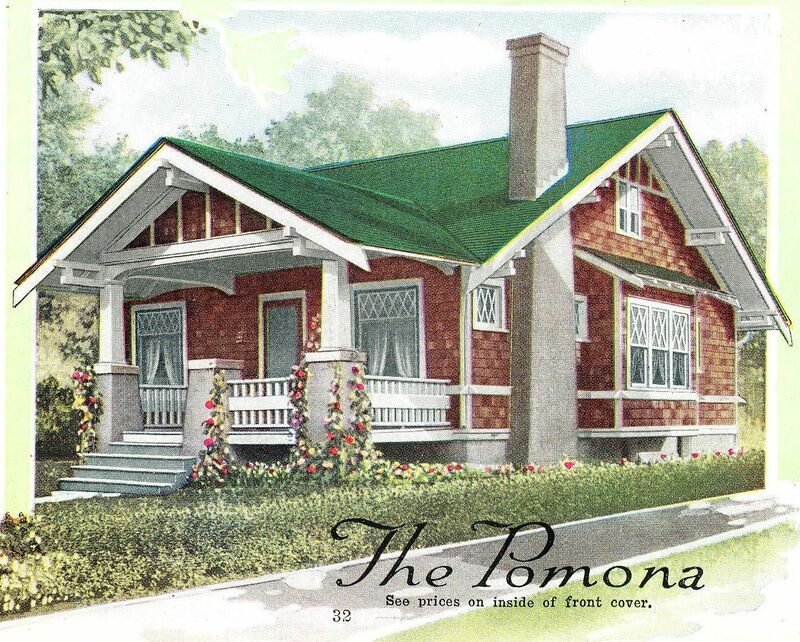 The Aladdin Pomona, as seen in the 1919 catalog. The Aladdin Pomona in Lafayette-Winona. The windows have been changed but it's undoubtedly a Pomona. And it's in a neighborhood with several Aladdins! The Plaza was a grand house, and spacious too. And here is my #1 favorite kit house in all of Hampton Roads: The Aladdin Plaza, in beautifully original condition. 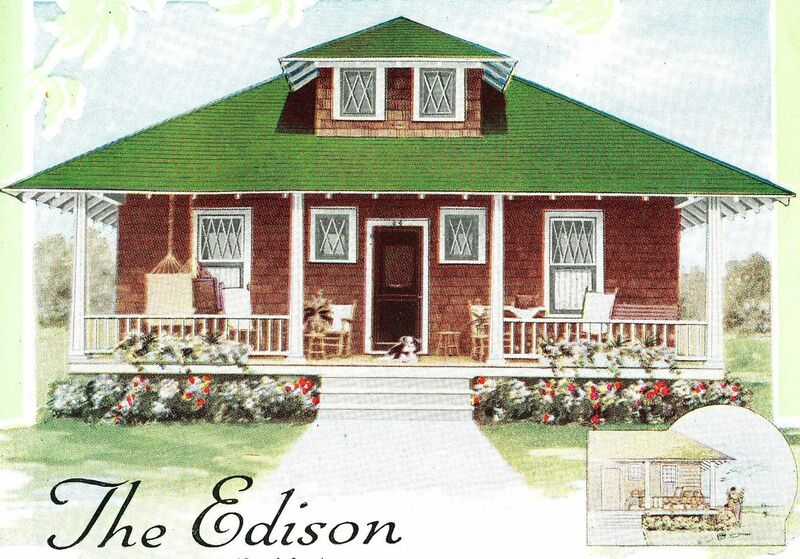 Gordon Van Tine was another mail-order kit home company that was based in Davenport, Iowa. 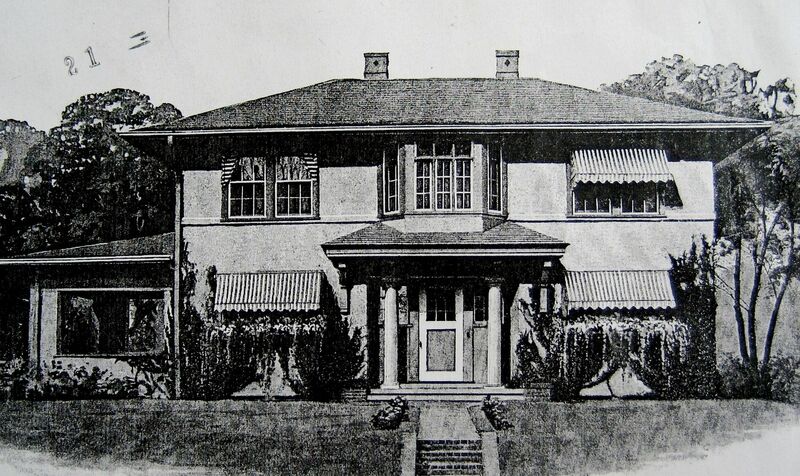 This design ("The Roberts") was one of their most popular houses. 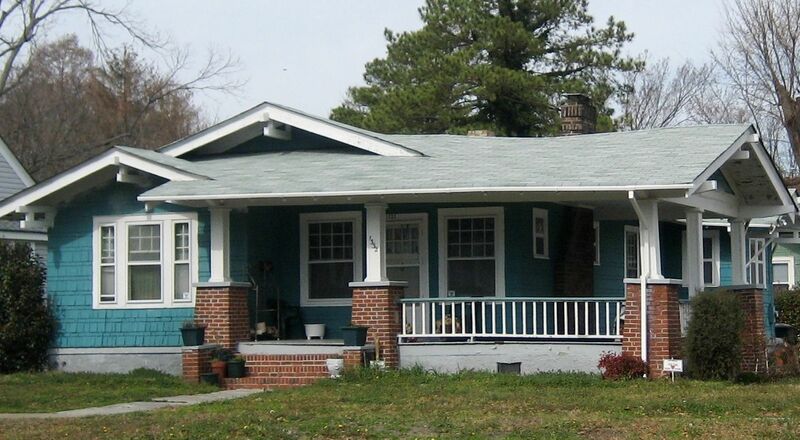 This "Roberts" is in Ocean View and is beautiful condition! 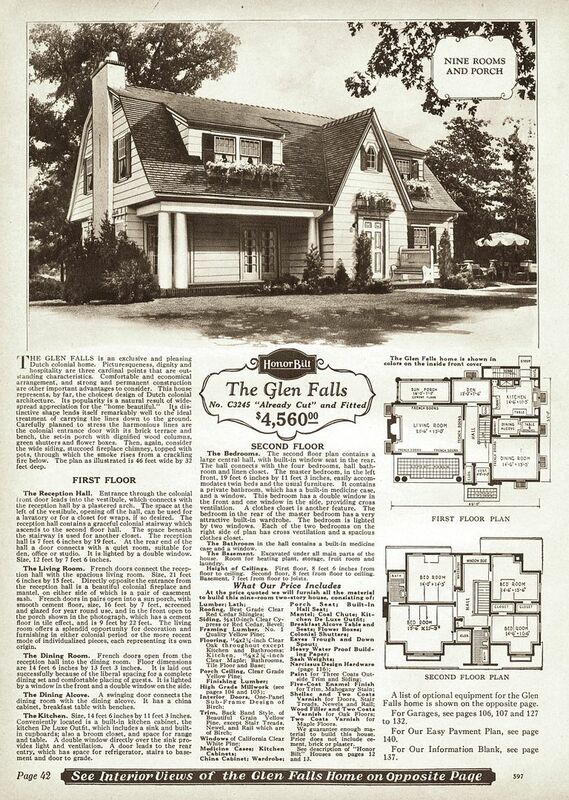 The Glenn Falls was one of Sears biggest and best kit homes (1928 catalog). And this one is in West Ghent! 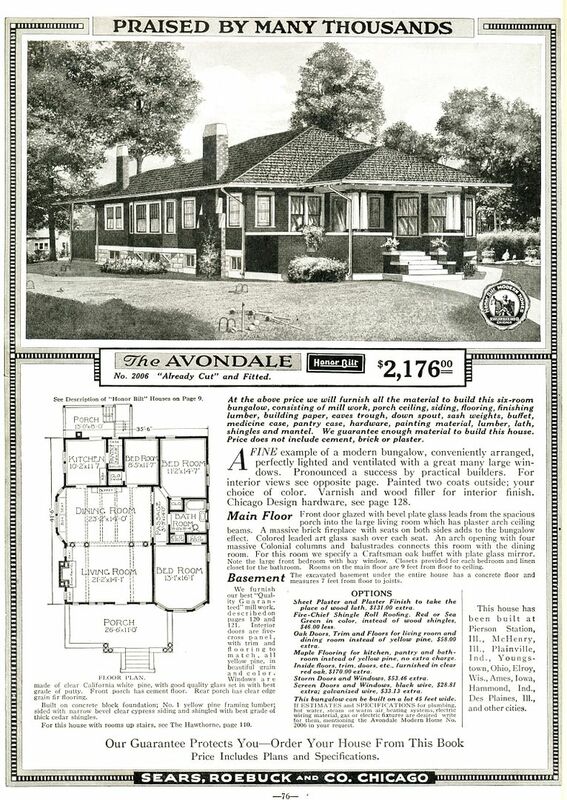 The Sears Avondale was a popular house (1919 catalog), and spacious, too. And this one is on Victoria Avenue. It's well-hidden by the trees, but there's no doubt that it's a Sears Avondale. This is a mirror image of the catalog page above. Notice the large bay window? It's on the "flip side" of the catalog picture. 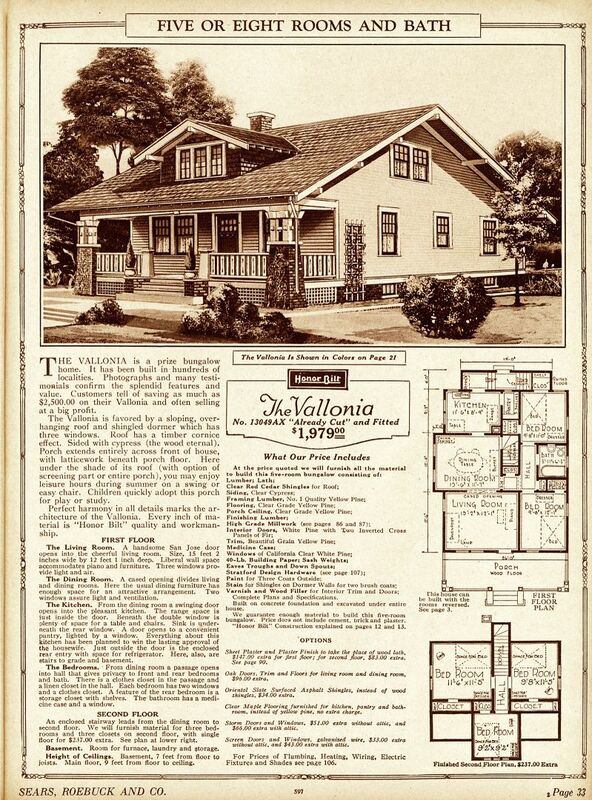 The Sears Vallonia was one of Sears best-selling homes (1925 catalog). Located in Ocean View (on Mason Avenue), it's been converted into a duplex, but it's definitely a Sears Vallonia, with an enlarged dormer. 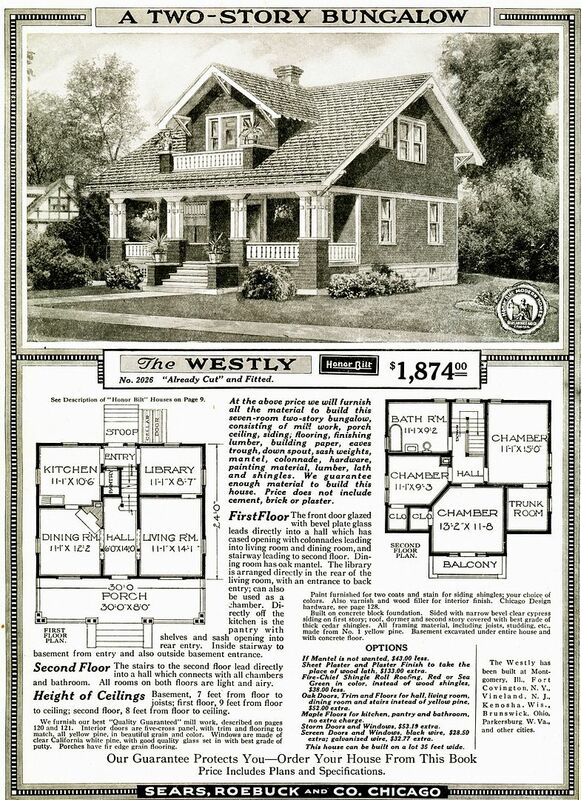 Sears Westly, as seen in the 1919 catalog. And a Sears Westly on Tennessee Road. This was a real surprise, because most of the houses on this street are post-1940s. And another Sears Westly (now a duplex, sadly) in Ocean View. 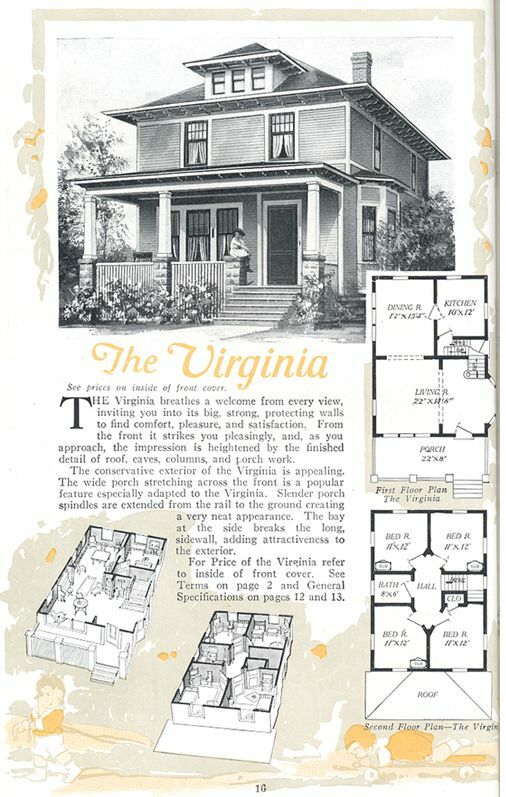 The Sears Barrington was a popular house (1929 catalog). 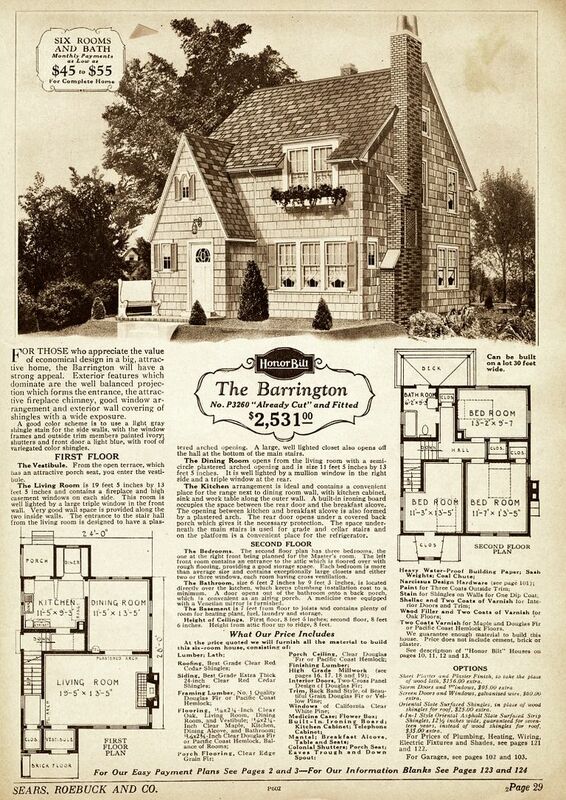 This Barrington is in Ocean View, and it's a good match to the catalog picture. The Sears Americus is also easy to identify, because that bumped-out wall on the second floor does not exist on the first floor. 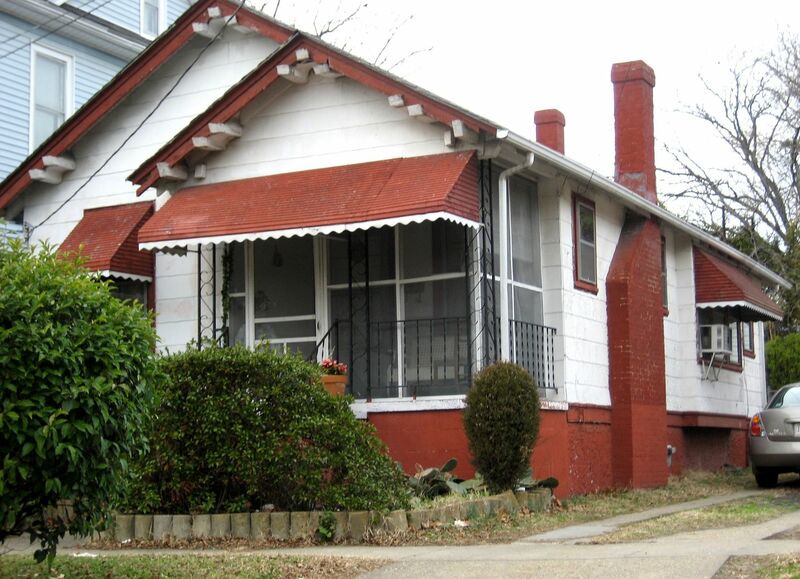 The porch roof also catches my eye, because it juts out beyond the home's main wall, and is shaped like a sideways "V."
This Americus is in Park Place is in the 600-block of 27th Street. Park Place has several kit homes. There's a special place in hell for the guy who did this siding job. Look what he did to the eave brackets. 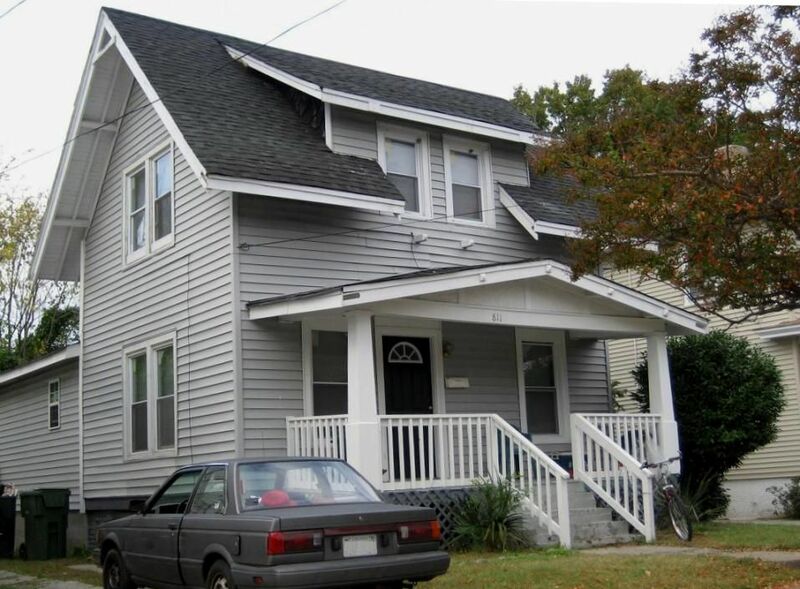 Plus, like so many other Sears Homes in Norfolk, it's been turned into a duplex. There are two Aladdin "Venuses" (or would that be "Venii"?) in Park Place. This Aladdin Venus still has its original casement windows. It's on 38th Street. The Venus was offered in two floor plans. There was a Mama Bear-sized Venus and a Papa Bear-sized Venus. This one (on 36th street) is the larger model. 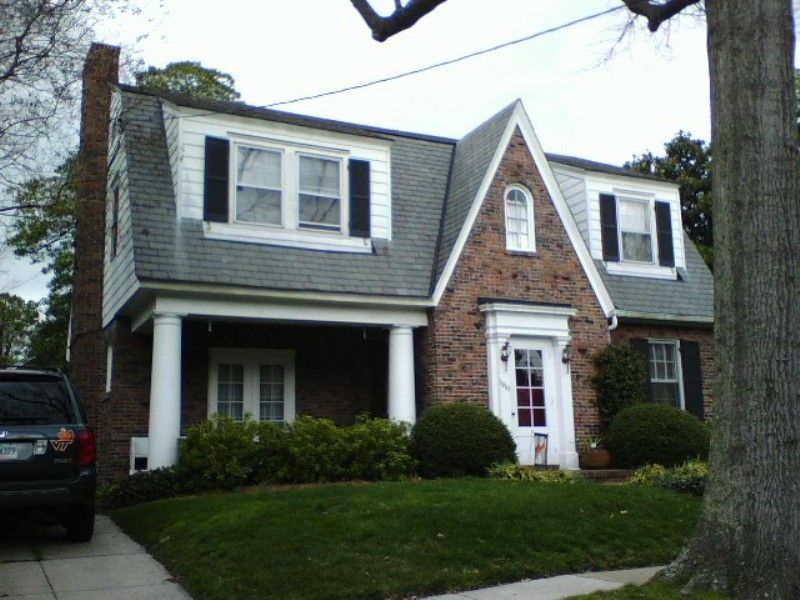 The one on 38th Street (shown above) was the smaller model. 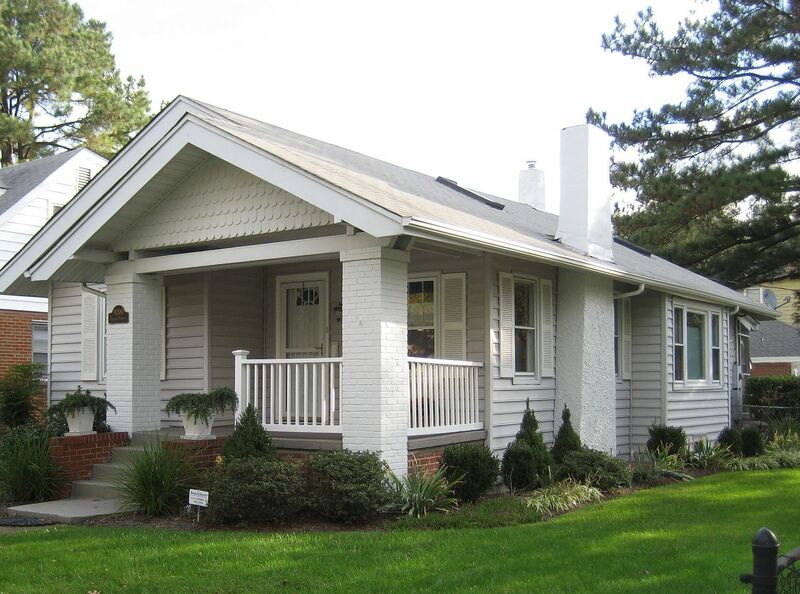 Norfolk is also home to many "plan book" houses. 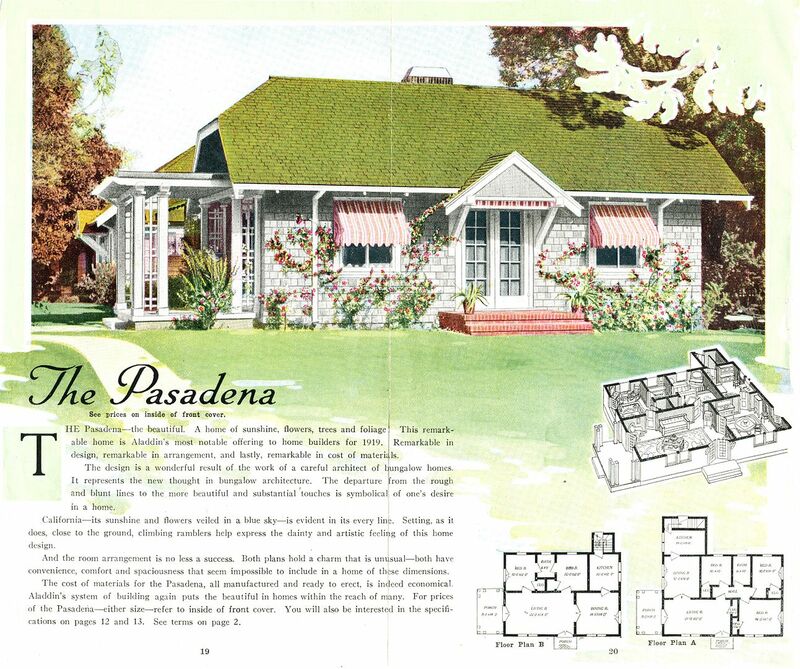 Plan books were akin to "kit homes," but with plan book homes, you ordered the blueprints and a list of building materials that would be needed. The actual building materials were then obtained locally. 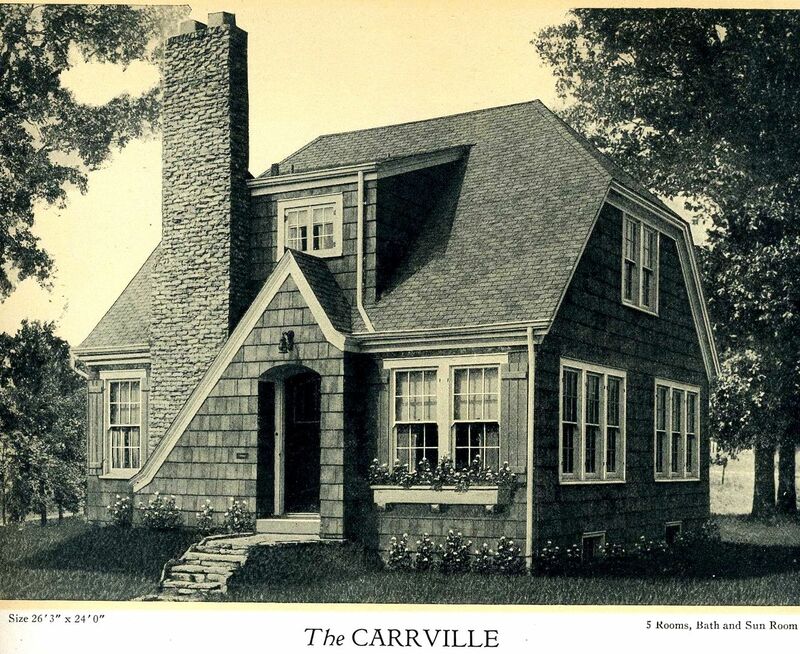 This house shown here is a "Homebuilder's Carrville." And here's a pristine example in Ocean View. 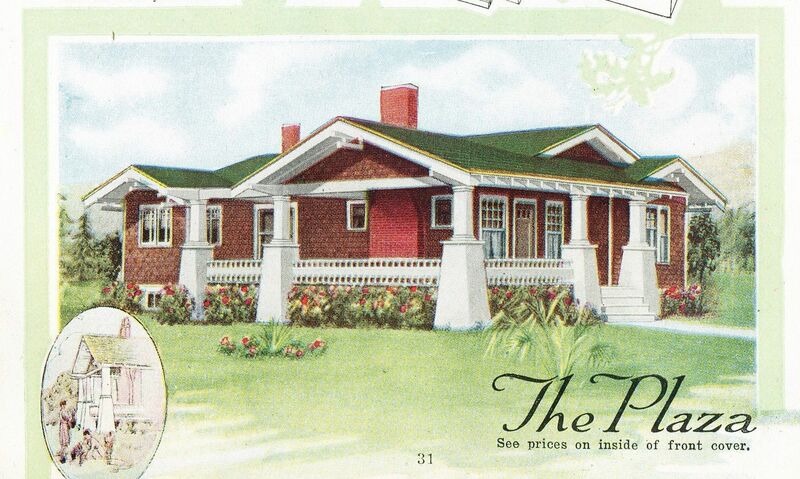 The Ocean View home has straight gables, unlike the catalog image, which has the clipped gables. That minor alteration would have been easy to do. Putting this blog together took about 50 hours of work (spread out over a period of months). 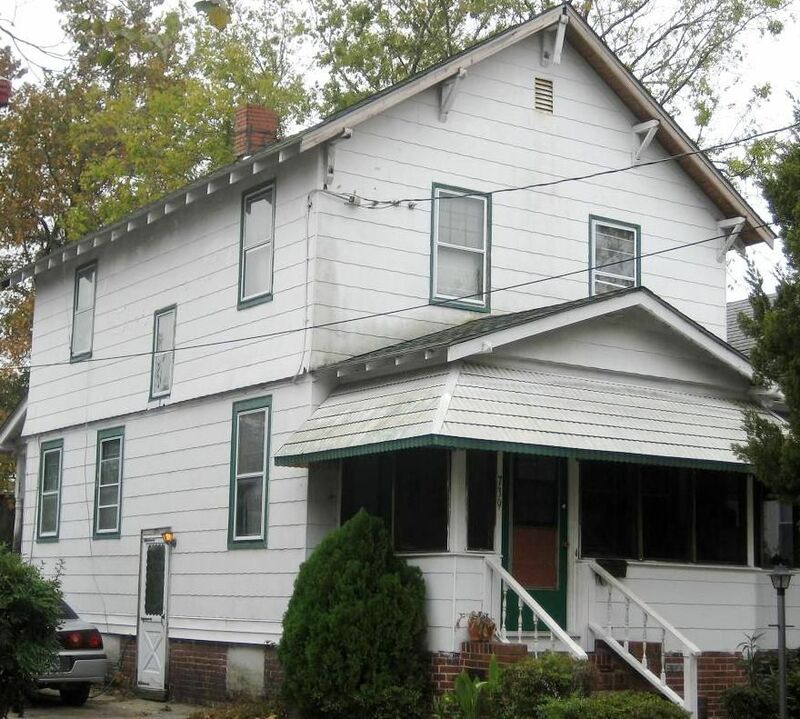 Finding these early 20th Century kit homes is always fun, but also a bit tiring. 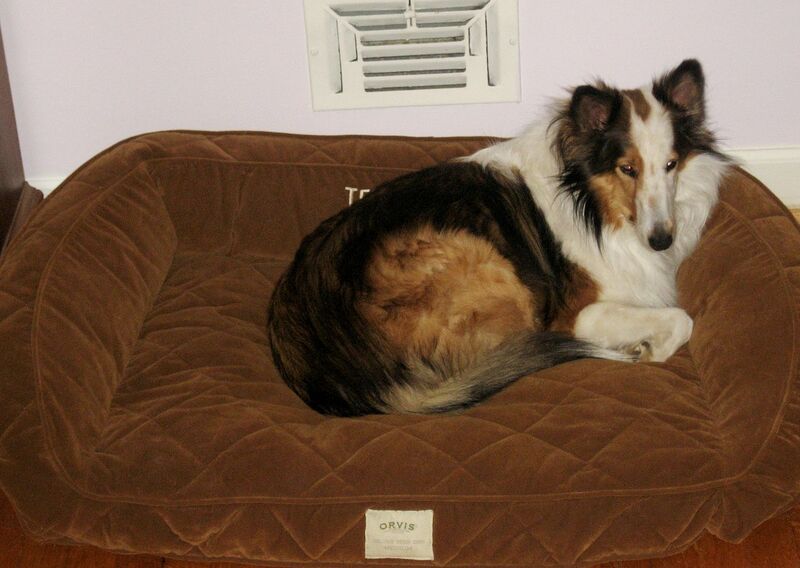 After a few hours of "house hunting," Teddy and I usually return home "dog tired." As mentioned, there are more than 80 kit homes in Norfolk. The above are just a few of them. Please share this link with friends! To learn more about the kit homes in Ocean View, click here. 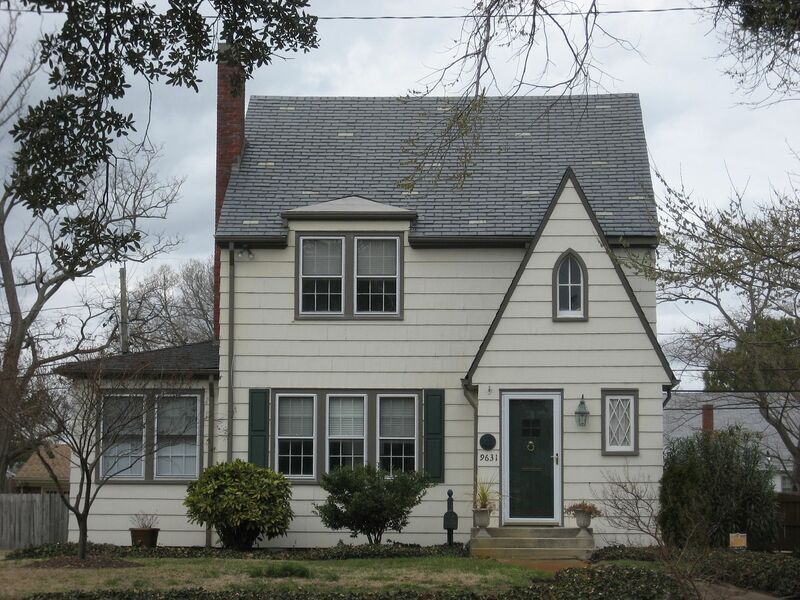 To see pictures of kit homes in Colonial Place, click here. In 2006, I met Wayne Ringer and we soon became engaged, and then I moved into his 1964 apartment-building-converted-into-a-condo (concrete filing cabinet for humans), which happened to be in Norfolk. He was the Chief Deputy City Attorney for Norfolk, and because of that, we had to live in Norfolk. On January 2007, we were married and nine years later (April 2016), ten years after I met him, he put a bullet in his head. It’s been almost three years since that horror, and I’m still recovering. I had planned to grow old with him. He had other plans. We spent six months discussing the purchase of a side-by-side refrigerator. How could he do this without giving me a hint? As is so typical for suicide widows, I became a pariah in my own “home town” of Norfolk. And then I became critically ill. And then I died. And then I was resuscitated. And then I was hospitalized. And then decided that if I was going to survive, I had to shake the dust off my feet and get the heck out of Dodge. And thus begins my new life. For reasons that are obvious, Norfolk doesn’t hold much appeal for me these days. Ohhh, I love the Roanoke! It’s a beauty! So I have this burning question for you. 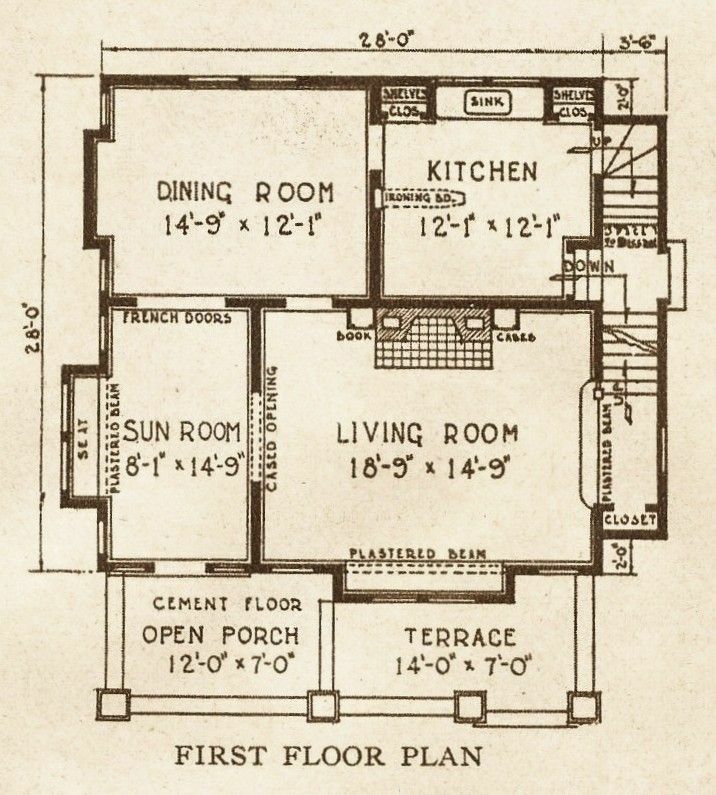 Do any of the floor plans have a first floor bathroom? Sorry if this is an obvious answer. Be gentle….I’m new here. The Roanoke *is* a real beauty and especially this one in Norfolk. 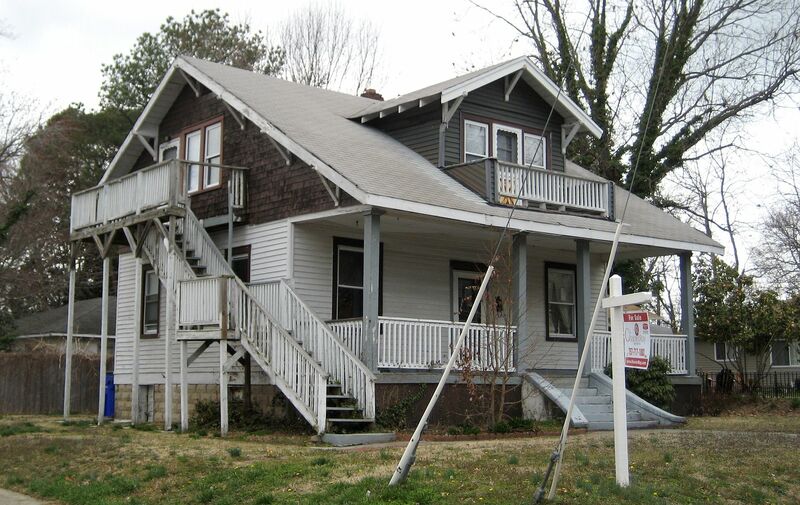 THe owner has really done an incredible job taking care of this house, and carefully restoring it. 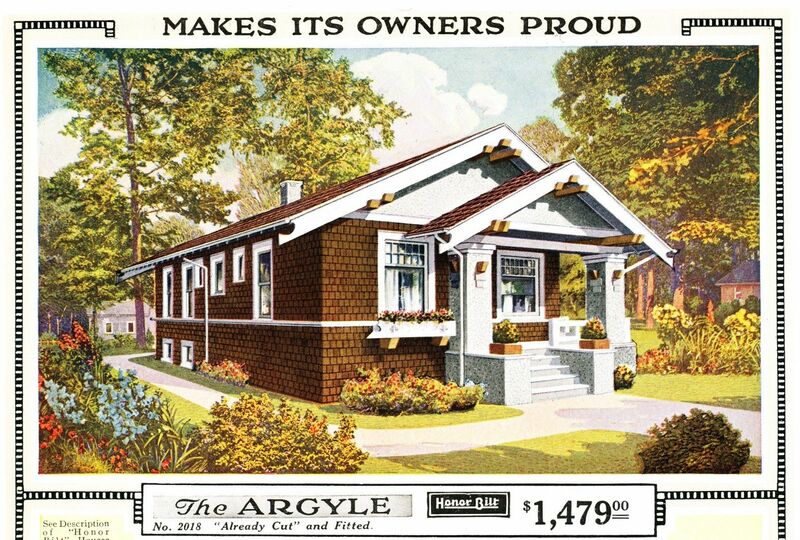 There were several Sears Homes with first-floor bathrooms. The Lynnhaven comes to mind. It has a half-bath on the first floor, and a full bath on the second floor. Rosemary’s books are awesome and I come here every day to read and learn about everything from Sears Homes to the murder of her aunt Addie Fargo! I own every one of her books and I read every blog! I have learned so much from her about how to identify these houses. She is truly an expert in this field, no one out there can match her expertise or knowledge in this area. 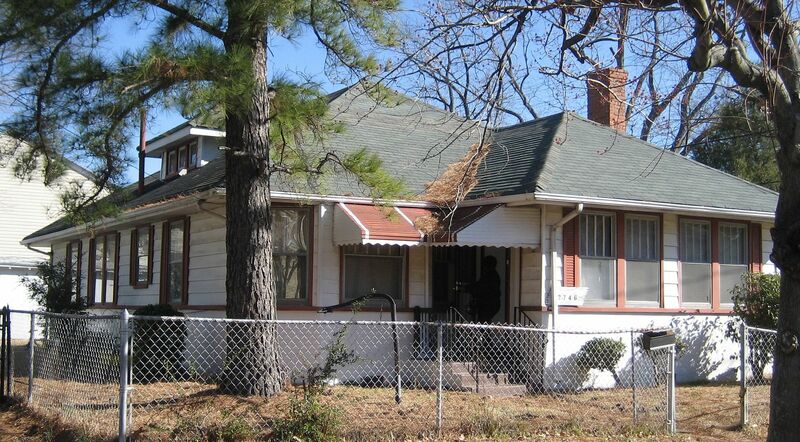 With the knowledge I have gained from her books and blogs I have been able to identify several mail order kit homes in Tulsa, Okla as well as surrounding cities. My fiancee and I are in the process of buying our first home, and the house we have chosen is located in the Monte Vista National Historic District in San Antonio, TX. 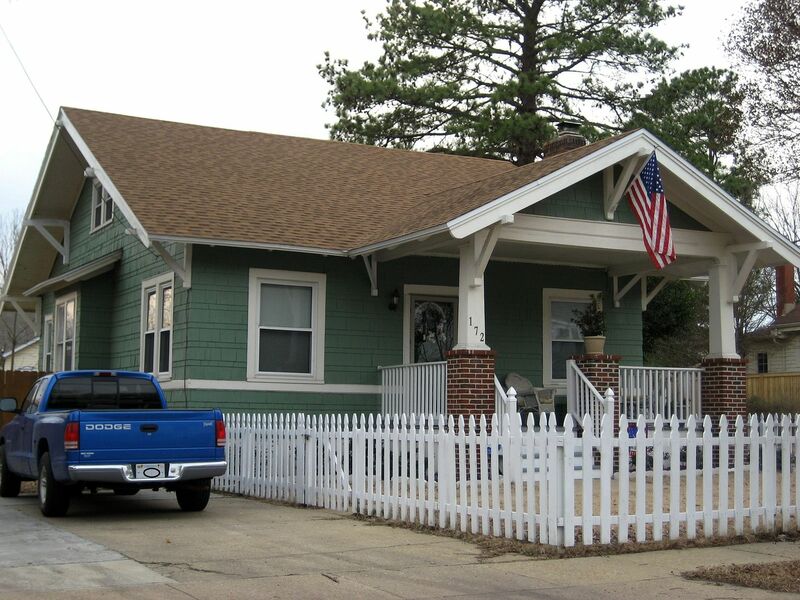 The house is small (listed as 1246 square feet) and old (built in 1921 according to the Monte Vista Historical Association and 1925 according to the sellers), and I have been searching kit house and bungalow websites to try to find it, or one with similar style. 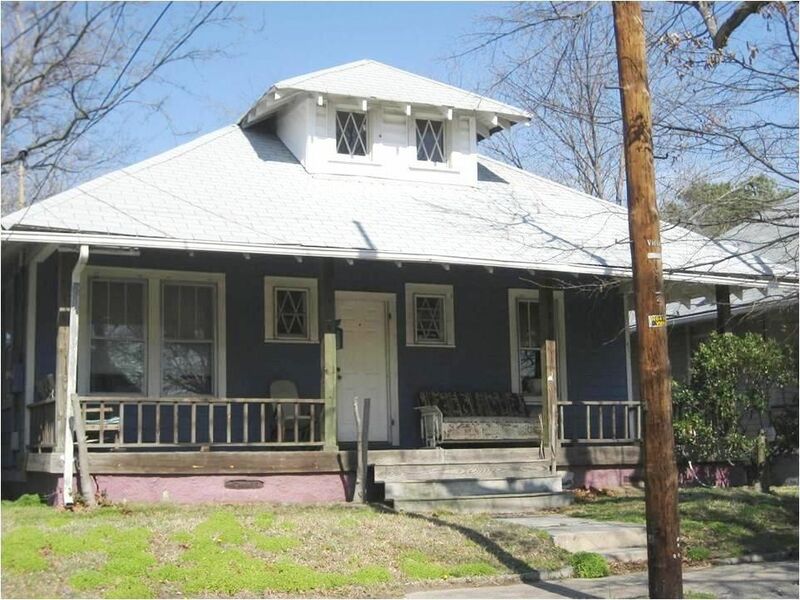 It is a single story and has an unusual open pediment over the wide front porch, supported by four Tuscan columns. Does that sound like anything you have seen before? Rose’s reply: Send me a photo. Send it to thorntonrose@hotmail.com and put, “I love your books more than anything” in the subject line. That way, I’ll be sure to read it. 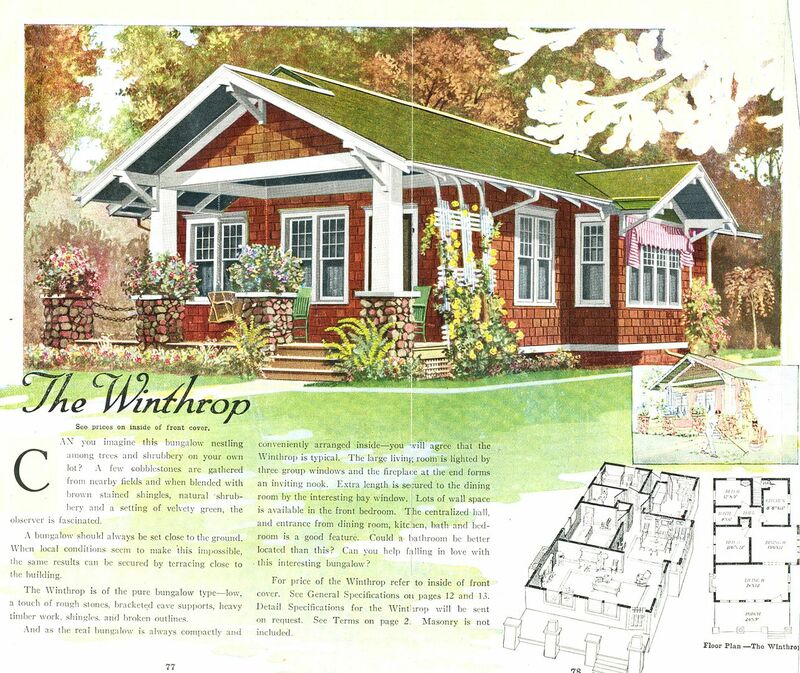 I came across your blog while researching bungalow casement windows. It’s so interesting to see all the bungalows here in Norfolk. I live in Lafayette-Winona and recognize a lot of them. 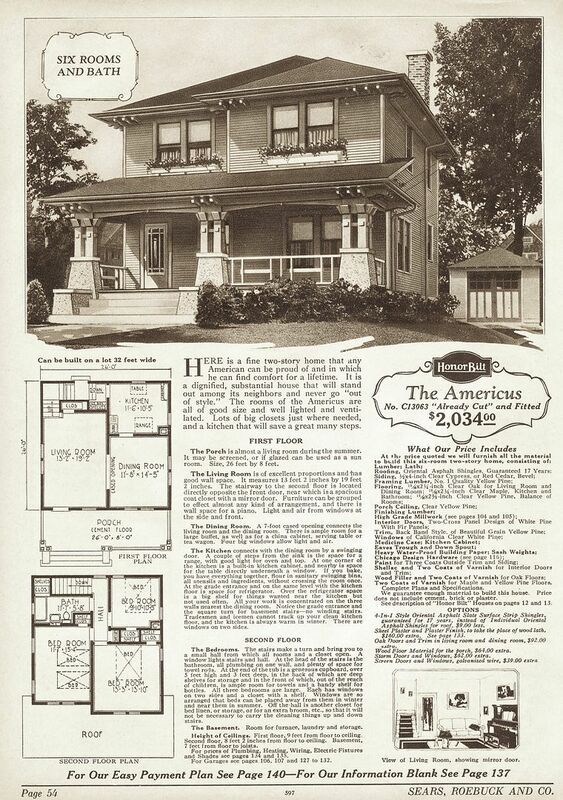 My house probably isn’t a Sears house, but I wonder if you can help me: I have twenty-one prairie style casement windows in my 1925 bungalow. They are covered with many layers of paint, but are intact with the original hardware. Right now, they have ugly 1960s storm windows, and I need to do something about the lack of insulation. 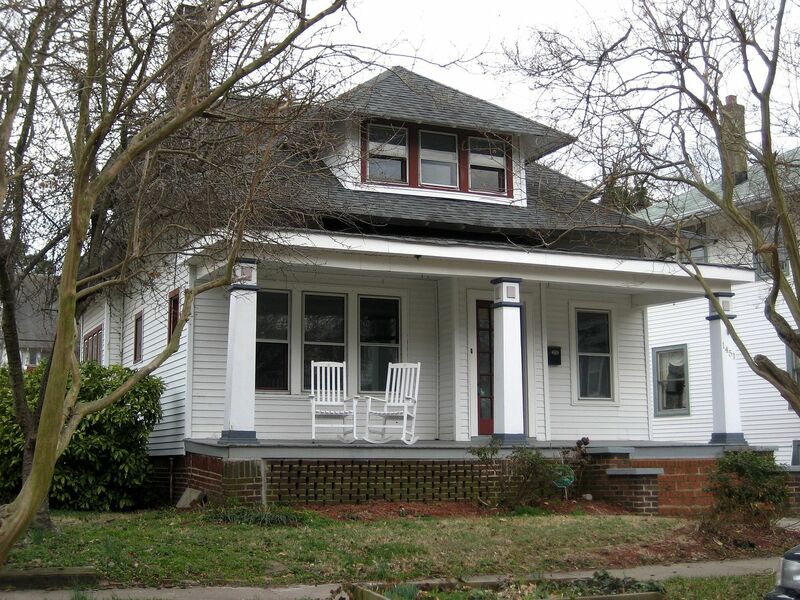 I’m trying to decide whether to replace all the windows with look-alikes or to restore them and get storm windows. The problem is, the casements open into the house, which means we can’t use the interior storms. I can’t think of any alternative to using storm windows that have the two sliding panes. Do you have any suggestions for storm windows that won’t ruin the look? Can you recommend anyone who can give us an estimate for widow restoration? 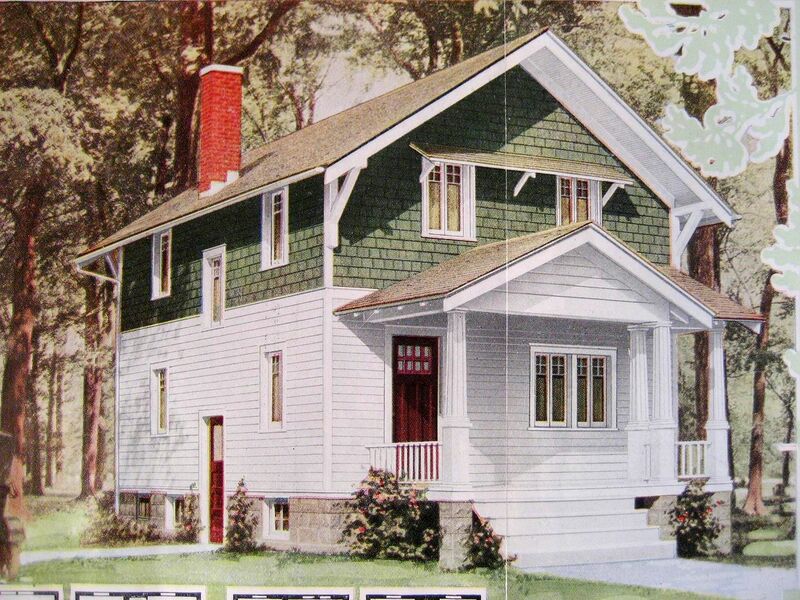 Do you know if any of the Sears homes and/or kit homes in Norfolk and/or Portsmouth are listed for sale? 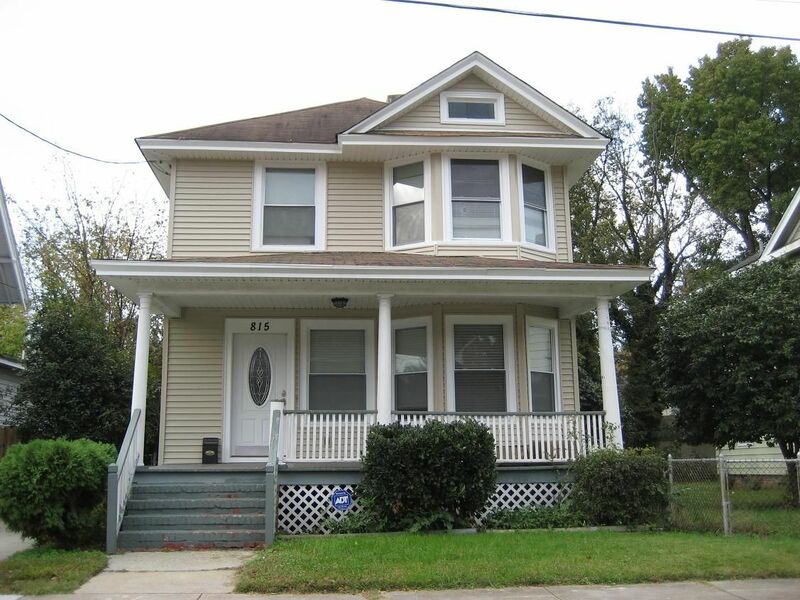 There is a Sears home, The Rockwell, at 237 Monroe in Cape Charles for sale. You mentioned that you are a Portsmouth fan. I’d like to learn more about special homes in Portsmouth. 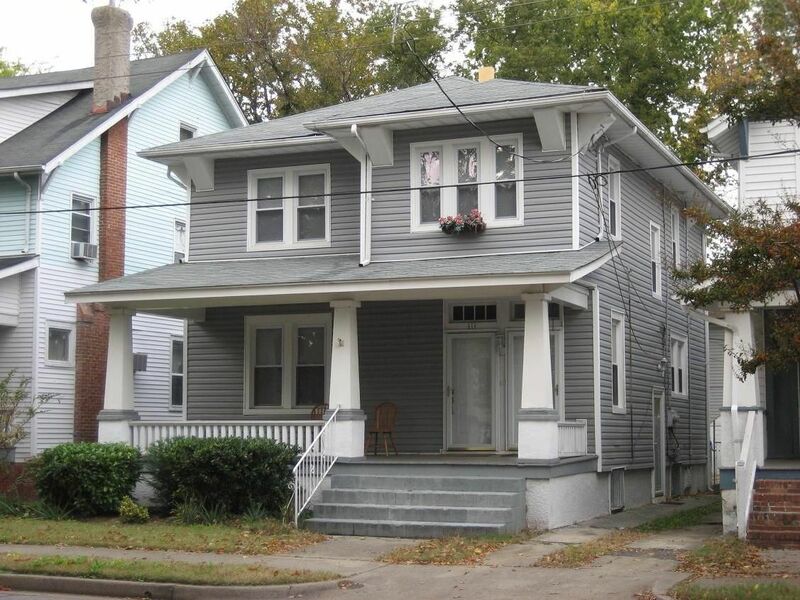 Do you know of a realtor that specializes in these type of homes in Portsmouth? Ann - I don’t live in your area but do live in a 1928 Sears house. A couple things to know about window replacement - High-quality replacements are expensive and from a financial “return on investment”, it can take decades to recoup the cost of replacing original windows. You’ll save a lot more a lot sooner by having an credible energy efficiency expert (not salesman!) come through an identify ways that you can save energy that don’t involve window replacement. That said, we too have windows that open into the house. We have single pane storms that slide into a painted aluminum frame attached to the exterior off the house. We put the storm windows in each fall and take them out each spring. I think are fairly unobtrusive and the frames are painted to blend into the exterior of the house. 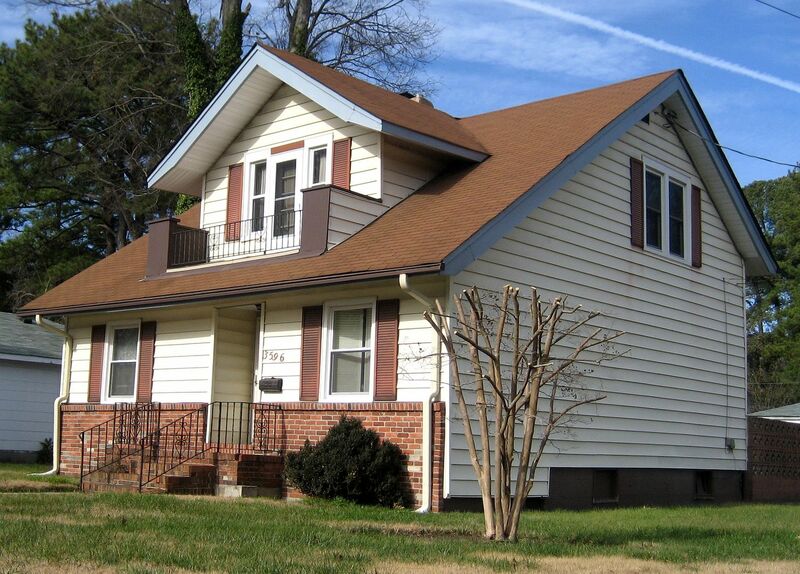 We do have a single-story house so that kind of solution may not work for every house. But there are definitely options besides replacing the originals. I’ve gone through the catalogue of kit houses, and can’t seem to identify ours. It was built in 1920, and has had an extension put on the side. We are trying to determine what it might have looked like originally. Can you give me any leads? Thank you! I read through this entire site and your extensive work cataloguing retail kit homes. And then so sorry to read about your loss. I’m glad to see you in self-preservation mode, and working through it. 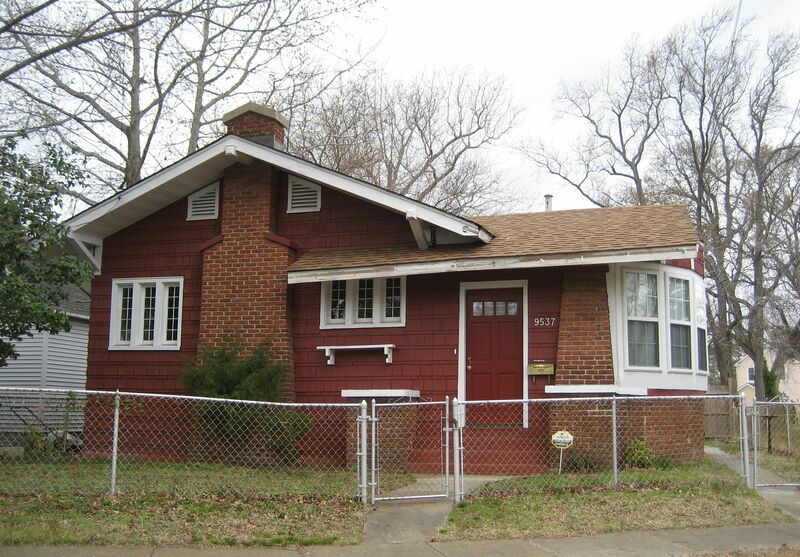 The Back Story of “The Houses That Sears Built” A Not-So-Nobby Neighborhood in Newport News With Numerous Kit Homes!